At year’s end my son came home with his lacrosse and hockey sweaters. They lived downstairs in an old duffel bag. Lonely and unloved. Every year or two a bigger duffel bag was purchased and the new sweaters were placed inside. We carefully laundered the sweaters and once in awhile my son used one or two for street hockey games. But mostly they lived a lonely, solitary life in the cellar. Most of these old sweaters eventually found there way into Toronto’s landfill site located west of London. A site quickly filling up. The sad reality is we produce about one ton of waste per person per year. About 6 per cent of this waste is made up of clothing We divert about 30 per cent of our waste. A figure that has remained the same for many years. 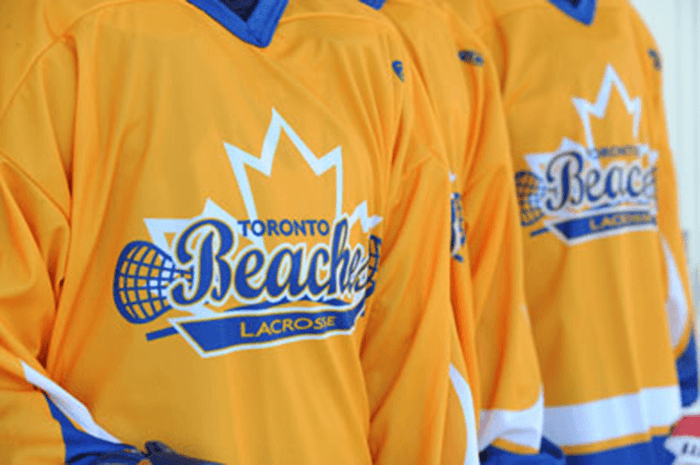 This year in an effort to cut costs and to help our environment, Toronto Beaches Lacrosse Club will be supplying house league sweaters but will collect them at year’s end. Next year the freshly laundered sweaters will be reused. The hope is that these sweaters can be reused for three seasons saving parents money and in the long run divert waste from landfill. It’s no secret that costs for all minor sports continue to rise and sponsors have been steadily decreasing. The options for TBLC’s executive is to cut cost where possible or raise fees. This year fees have increased slightly but cutting cost is ongoing. Recycled sweaters are just one example of this cost cutting effort. For parents no more finding larger duffel bags for unused lonely sweaters. For the city less stress on their landfill site.